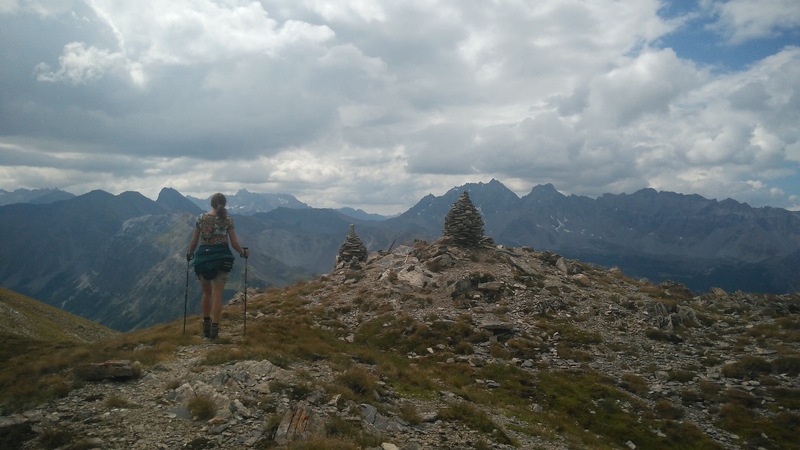 After 6 days of hiking in the Queyras in the end of August, we can only say: this is a beautiful, quiet and charming region of France, not too crowded by tourists (we didn’t see any Dutch people), and with very friendly local people. The landscape is stunning, wildcamping is basically possible anywhere, and the hiking trails are endless, well indicated, and accessible for all levels of hiking or climbing. We believe the full GR58 can be done in 7-10 days, but taking more time is definitely worth it in order to take side trips and visit some of the higher peaks. Traveling end of August means: clear nights and mornings, but chance of rain or thunderstorms in the afternoon. But it also means slightly cooler and shorter days and avoiding the busiest tourist period. 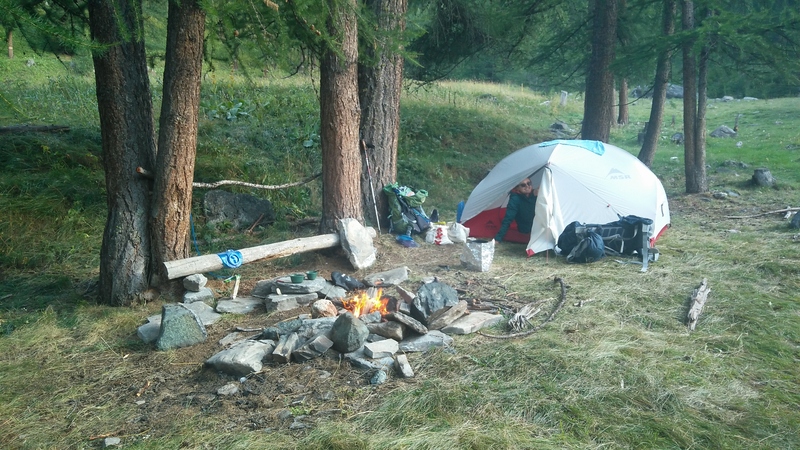 The matter of camping versus refuges/gites is easy to answer for us: camping is the way to go, as it avoids the smelly, warm, and noisy dormitories, is much cheaper and gives much more flexibility since it generally does not require reservations. This compensates more than enough for the added weight. A proper tent, warm (down) sleeping bags, and ‘decent’ weather are of course a necessity. 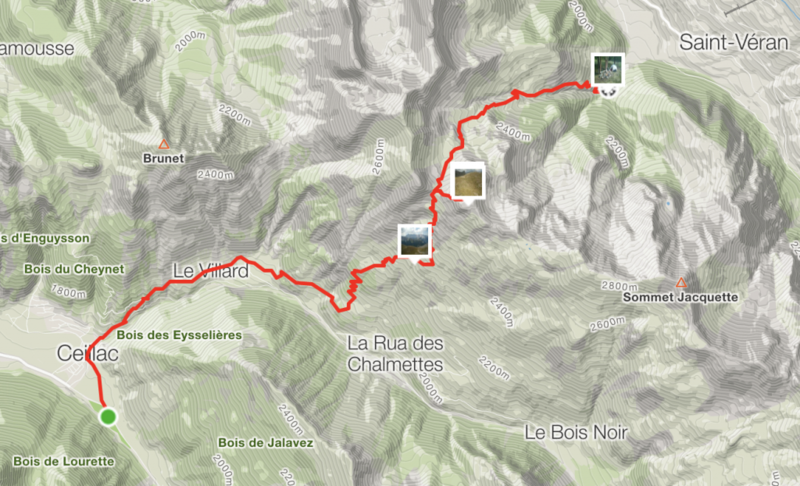 Start of a new hiking trip to the Querays, a little known but beautiful region of the French alps bordering Italy. It is said that Hannibal crossed the Alps here when approaching Rome. 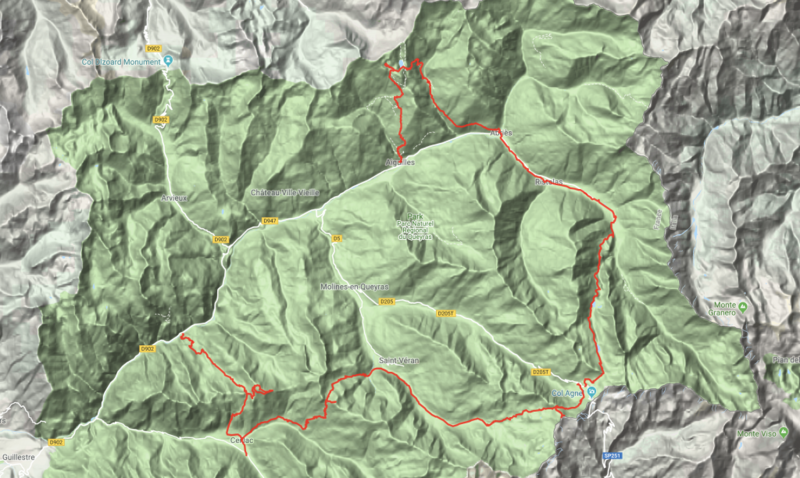 We don’t have such plans yet but aim for a slightly humbler goal: walking the GR58, the tour du Querays – or at least a part of it. 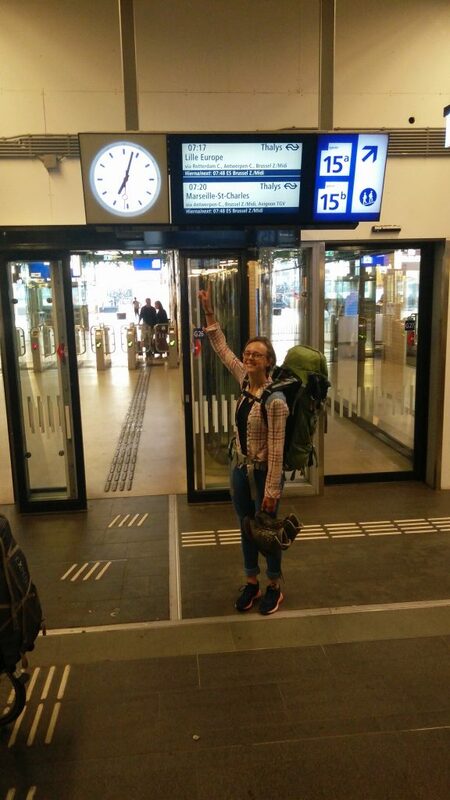 We take the Thalys from Amsterdam directly to Valence: departure 7:20, arrival 13:00 (!!). Incredibly fast but the next train to Montdauphin-Guillestre is quite a bit slower and takes another 4 hours. Then a bus into the Querays. We leave the bus at Bramousse, where we enter on the GR58 and a short hike uphill brings us to the small village with its stone ovens everywhere. We are just in time for dinner at the Gite d’etape Le Riou Vert, joining the French in their cheese platter and sipping from Le Nebia, a local white beer (probably named after the misty clouds that often arrive from Italy’s Po valley in the afternoon). This trip we have ‘all’ our gear with us: tent, sleeping bags and mats, cooking gear, food for a couple of days, warm and waterproof clothes, water filter. Including water weight, approximately 2 liter on average, we have bags of about 17-18 (Ben) and 13-14 (Lisa) kgs. This is heavy but doable and makes us independent and free to go and camp where we want. Today the real start of our tour. We leave Bramousse-village and go uphill, turning into the forest. A long path follows, passing by Bramousse-chalets and then finally we arrive at col de Bramousse, about 2,5 hours after our start. This is a nice grassy area where we finally see some other hikers, probably day hikers from Ceillac. We drop our heavy bags in the bushes and head towards the poste optique at 2580 m, an old mountain hut used for communicating across the mountains. 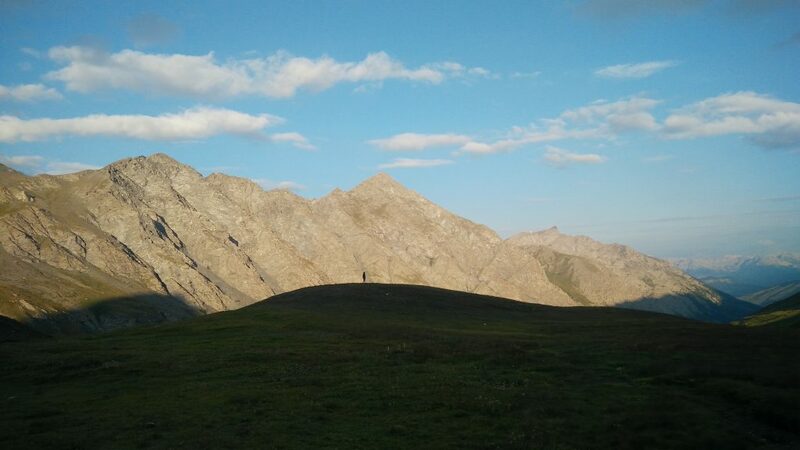 This is really a magnificent place with great views on Ceillac and the valley of Arvieux towards Izoard. 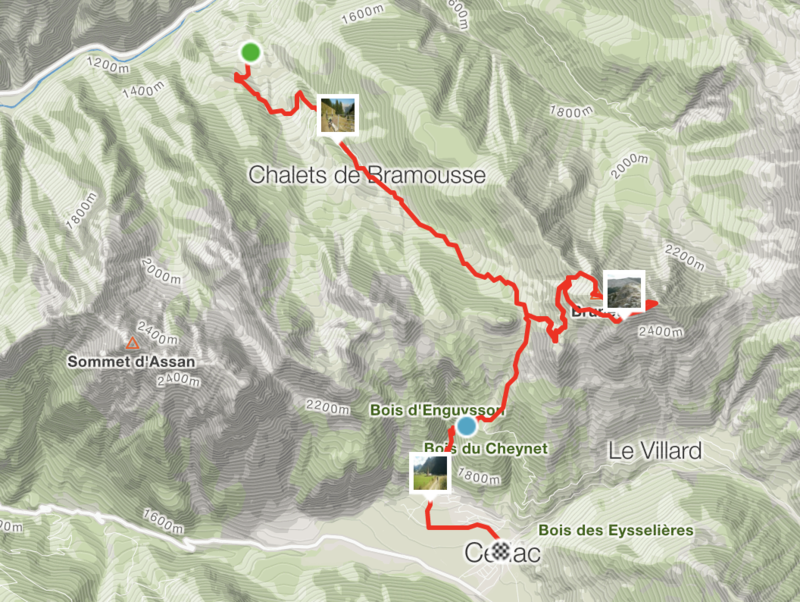 We return to our bags via the crête des Chambrettes, again with great views on both valleys. From the bags at col Bramousse it’s still quite a descent to Ceillac, but the weather is still great and it gets warmer as we descend. Ceillac is a charming little village, where we eat crêpes and drink orangina, and after grocery shopping at the epicerie we head towards the camping municipal. Here we spend the night for just € 8,10 for two persons, making pasta on our burner while having a great view on folks parapenting in the setting sun. We rise around sunset, 6:30, and enjoy Lisa’s homemade breakfast: cranberries, oatmeal, nuts, milk powder, cinnamon, which forms a delicious oatmeal when we just add boiling water. We head to the boulangerie in the village to get our lunch and then the day can start: St Veran via Tête Jacquette. This is a long and steady climb, quite steep and tough with our heavy backpacks. 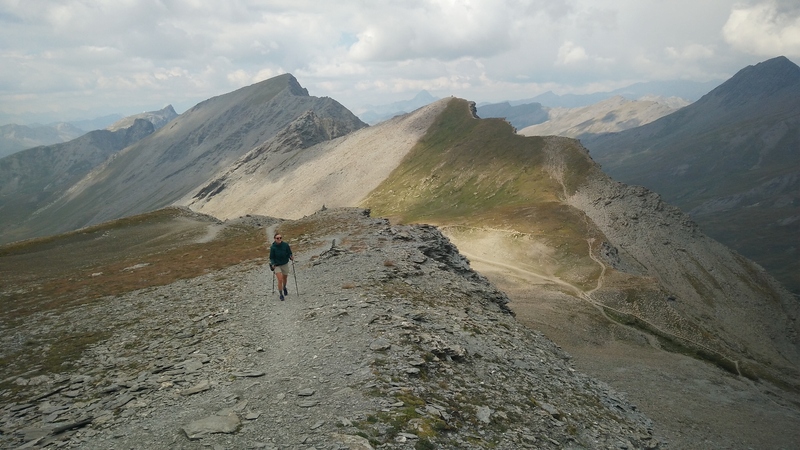 At the col des Estronques we have lunch – bread and sausage and tomatoes, and refueled we hike up the tête Jacquette (2757m) with little effort, as we leave the bags at the pass. 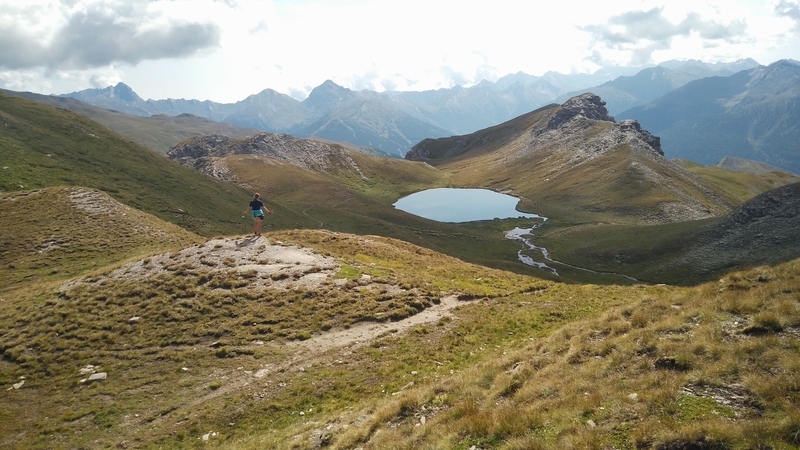 The views from the top are stunning, from the Ecrins in the west until the Italian border in the east. Below us is the village of St Veran where we are heading to. 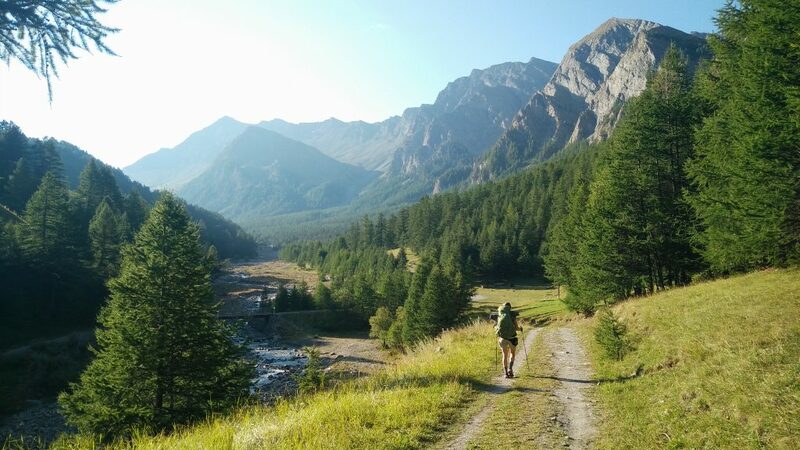 After a long descent and aching feet we approach St Veran, but before reaching the river we spot a great wild camping spot where we pitch down the tent. It’s only 2pm but there are already light thunderstorms passing by with some rain. After this, the sky clears and we have a beautiful afternoon and evening, enjoying the river, making a campfire, and charging our devices with the newly acquired solar panels. We fall asleep with the sound of the river and wake up again next morning when it gets light – around 6:15. The daily morning breakfast routine and we hit the road at 8. A long gentle hike along the river of the Blanche follows, and along the route are more great wild camping spots. The weather is perfect, blue skies, and our first break is around 10am, with Chapelle Clausis in sight. We top up with fresh water, which we need for our noodle-style lunch later on, and continue the easy ascent towards col de Chamoussière. This area is filled with flowers, butterflies, some birds, and a enormous flock of sheep on the slopes higher up. But most of all, with their dominating sound, are millions of crickets, jumping up in swarms when we cross their path. Before the col we prepare warm lunch – noodles – although our burner has quite some trouble to stay alive. At the col, at 2880m, we decide we should hit the 3000m, which we do by hiking up Pic de Caramantran. With one foot in Italy we have a stunning view on the nearby valleys and mountains, although Monte Viso is hidden in clouds. During the descent to Refuge Agnel we get some light rain but nothing serious. At the refuge we have gateaux and cafe au lait, a hot shower and later in the evening we take dinner. Our tent is at some distance from the refuge, not so convenient but at least we have a quiet night. Our first time camping with the tent at 2600m! It’s still very cold when we wake up and we make breakfast in full outfits – hats, down jackets, fleece vests. Although the sun has risen, it does not show itself to us until about 8 am, when we are already packed and ready to go. 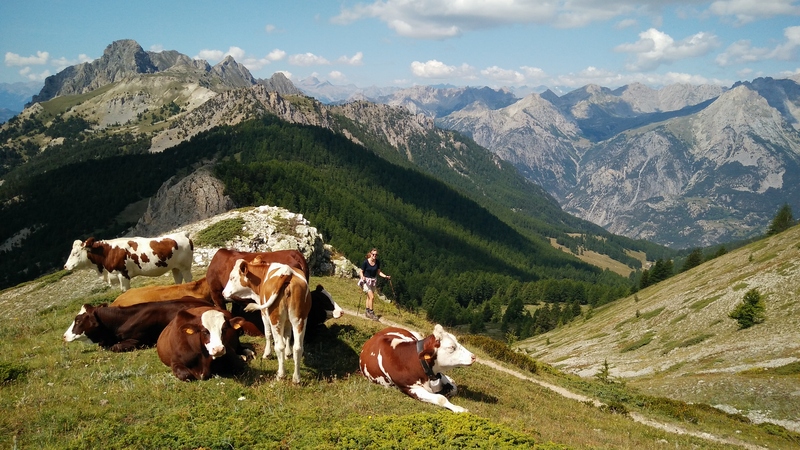 The col Vieux is a short hike, 200m higher, and offers good views on the valley towards la Monta and Ristolas. 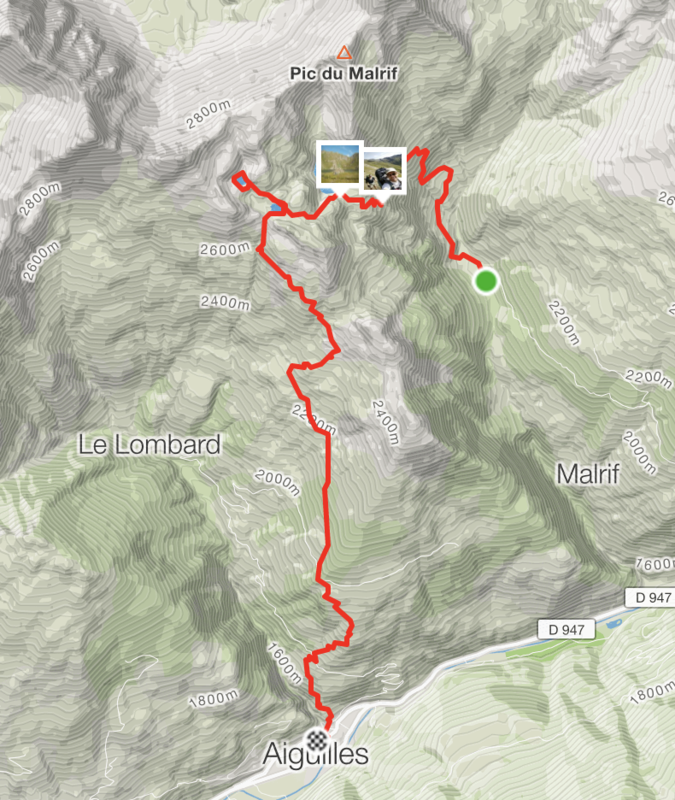 We doubt about going up towards Pain de Sucre, at 3200m, but decide not do so given the long descent towards La Monta that’s coming up. The descent is indeed long but also very beautiful, probably the most beautiful stretch of the GR58 we have seen so far. We pass by the two lakes, Foreant and Egorgeou, and in the meanwhile see an ermine (black tail), marmots, many birds and flowers, and a big flock of sheep with several dogs, including two patous (protective dogs), and a shepherd. The views are superb and when we descend further we also get a belvedere on Monte Viso. In L’Echalp we arrive at lunch time but the gite d’etape is closed during lunch so we continue to La Monta. Fortunately the refuge is open and we have omelette with salads. We decide to stay at the camping in La Monta, which is nicely located at the riverside and with a super relaxed atmosphere. In the afternoon we enjoy the sun, local beer and then finish the day with pizza from the stone oven. The dining area is a couple of tables in the forest, and we are surrounded by three goats that are eager to get a slice of pizza, a couple of yurts that also serve as dining area, and a hot tub fired by wood. Quite a special, highly recommended place to stay. It’s the first time we wake up after 7, and we enjoy having breakfast in the early warm sun. The camping sells fresh bread and croissants and with two scrambled eggs we have a wonderful breakfast for just € 3,60 in total. In general, the campsites here are cheap, the one in Ceillac and this one in La Monta cost us less than 10 € in total for a night. Not as cheap as wild camping but hey. 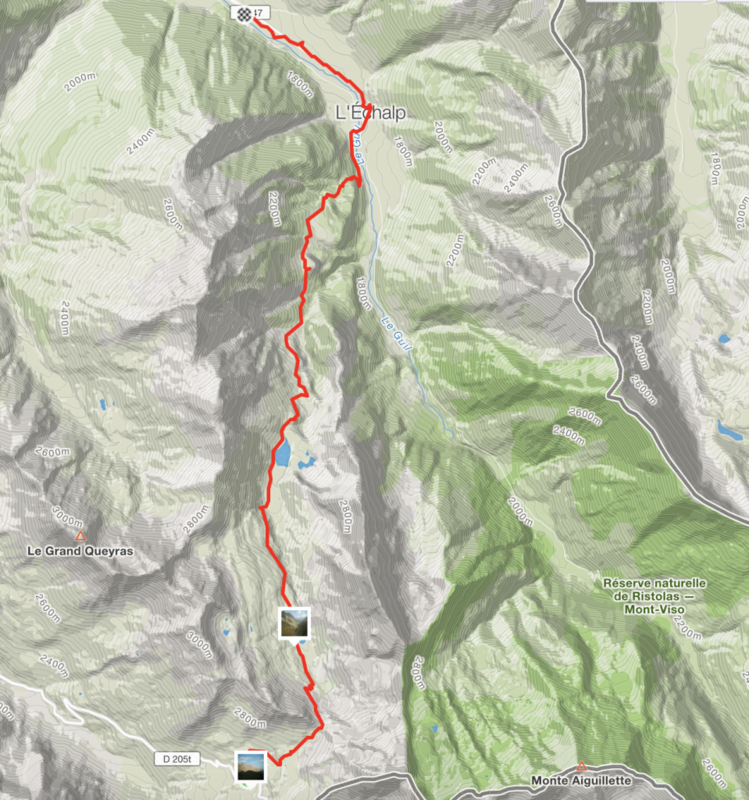 The first kilometers are an easy walk to Abriès, a nice little village where we enjoy being back in ‘normal’ life, with café au lait and crêpes gelées mélezin (a sort of larch syrup), and the local supermarket Proxi where we stock up for a next night camping in the mountains. 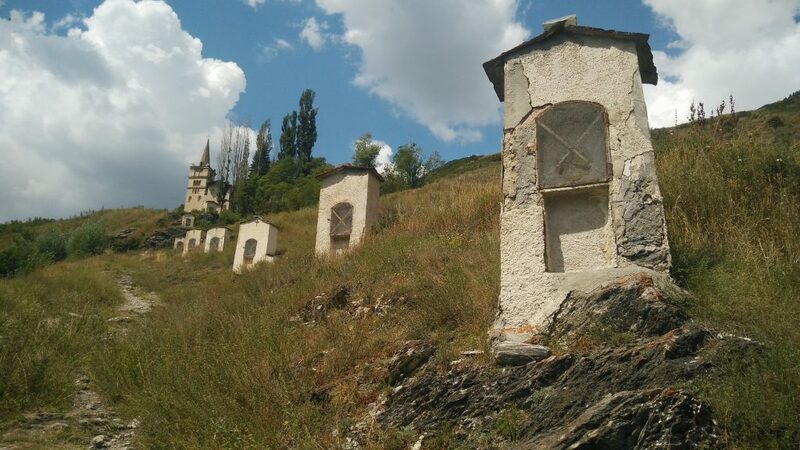 We leave Abriès by ascending in the village via the twelve ‘stones’ that lead to a chapel on the hill overlooking the village. It’s hot but the path is beautiful, full of flowers and insects and a panaroma towards Aiguilles. 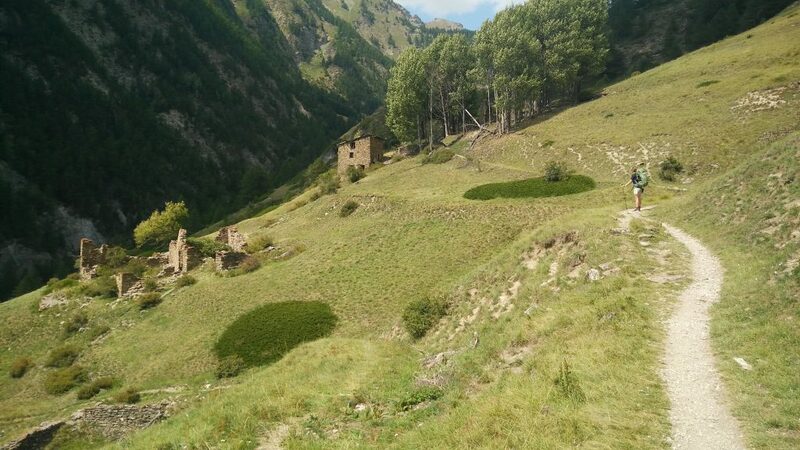 We pass by the settlement of Malrif, see a small snake crossing the trail, and then arrive in a valley surrounded by mountains, at around 2000m, called Les Bertins. The weather is changing and the first drops of rain are falling, so we quickly set up the tent to keep our stuff dry. After the rain shower has passed, its time for a (cold) bath in the river, and then for (river-cooled) beers that we carried from Abriès. We get disrupted by a rainstorm again, now much fiercer and with thunder. We find shelter in the tent and hope for better times. But the weather stays bad, and we have to stay in the tent for hours, with just a small window without rain in which we are able to cook some pasta outside the tent. When we go to sleep, the last rain is leaving the valley and the moon appears, blurred by the fully saturated humid air. Our sixth and last hiking day in the Querays. Clear skies but everything is wet and it will take time before the sun rises above the mountains. 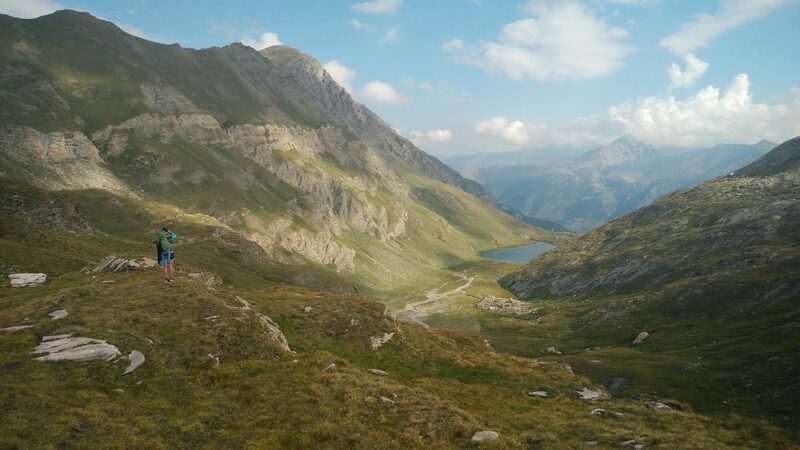 We just pack everything and start the climb to the lac du grand Laus, at 2579m. 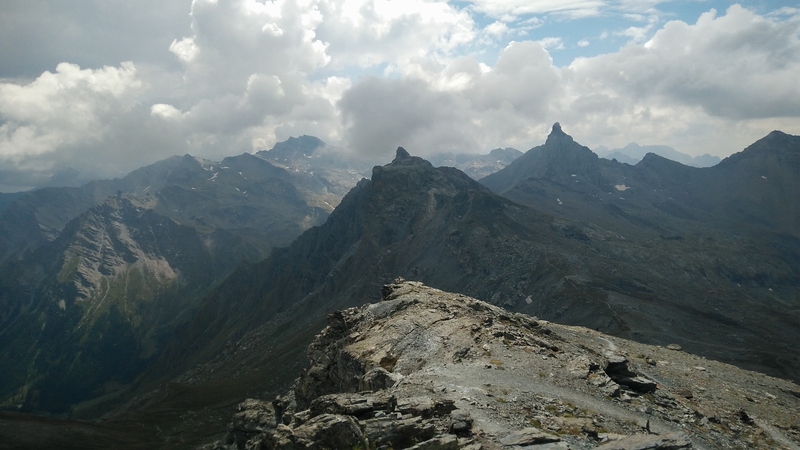 This is a fantastic climb with clear views of Monte Viso, and the clouds that are building up around it. It’s windy at the lake, but this apparently didn’t withheld some people from camping at the lakeside. After a break we continue to the smaller lakes Mézan and petit Laus (2700 m), where some people are fishing for trout. Petit Laus has crystal clear water and would be a superb wild camping site if the weather permits. During descent we encounter – again – a large flock of sheep, finding grazing grounds here above 2500m! We take their route down, but this is not well indicated and we spend some time roaming on the goat paths to find a way down. At least we see a golden eagle in the sky, being chased by smaller birds (alpine chough?) defending their nests. Eventually we decide to stop for lunch and let the tent dry. Here again we have great views over a large part of the Querays including the passes of Bramousse and Estronques that we conquered earlier. The last stretch towards Aiguilles is long and steep at times, with hundreds of colorful mushrooms along the way. In the early afternoon we arrive in Aiguilles, a little friendly village where we celebrate the completion of our 6-day hike in the Querays. We have delicious dinner – plat du jour: canard avec reine claude and Chardonnay from the Alps region – at Cour Voutée, a cozy restaurant in the center of the village. For the first time in days we enjoy a comfortable bed and shower in the highly recommended Yak Avenir, a cozy gite d’etape/hotel, where the very friendly owners help us with the trip back home. A long and refreshing sleep and homemade yoghurt at breakfast is a good start of our return trip which is a simple reverse of the trip a week ago. 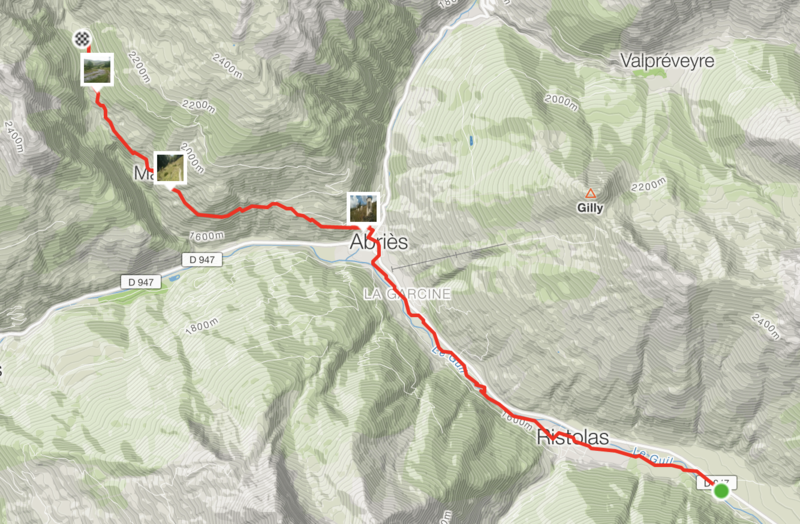 Aiguilles – Mt Dauphin/Guillestre – Valence Ville – Valence TGV – Amsterdam. We have some additional time in Valence which we spend having lunch at cafe Victor Hugo and shopping in the streets. The Thalys trip back is super comfortable, and will be a great option for future travels.